New Years is a time to celebrate new beginnings and our bright hopes and dreams for the future. 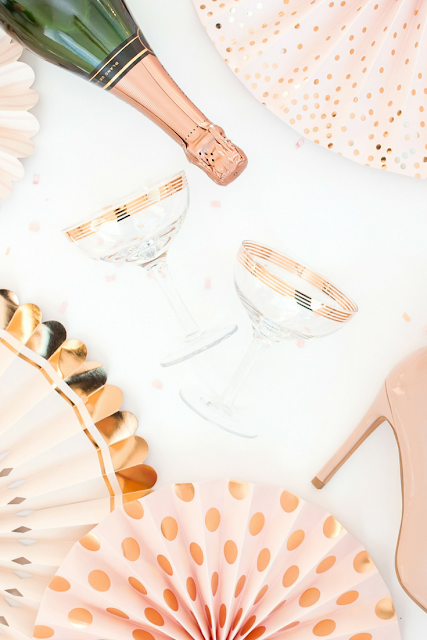 So what could not be more apropos than serving champagne to welcome the new year along with some sweet Champagne Macarons from Dana's Bakery? Each Dana's Bakery Champagne Celebratory Box of Macarons ($36) includes a dozen golden sparkling macarons, beautifully boxed as shown below. Certified Kosher Dairy K-of-K, these glittering edible jewels are always baked fresh and available nationwide for shipping via UPS two day delivery. 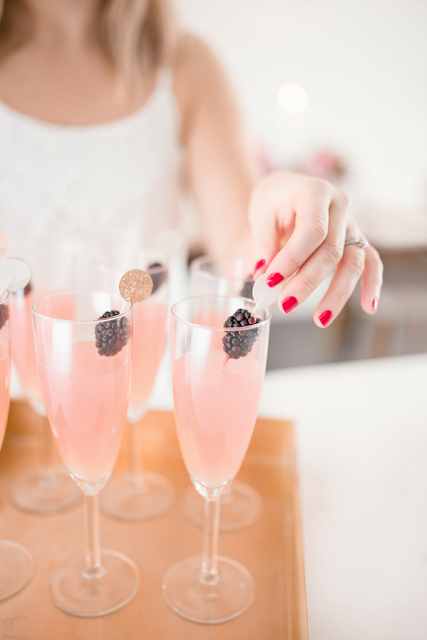 The champagne variety is not just for New Year's, either. It makes a wonderful gift for any occasion where congratulations are in order, too. Lucky for New Yorkers all of Dana's pretty yummy sweet bites are also offered for same day delivery by local courier in Manhattan between Battery Park and 90th Street. The entire line of beautiful French-inspired champagne macarons with an American twist may also be picked up in-store in New York and New Jersey. 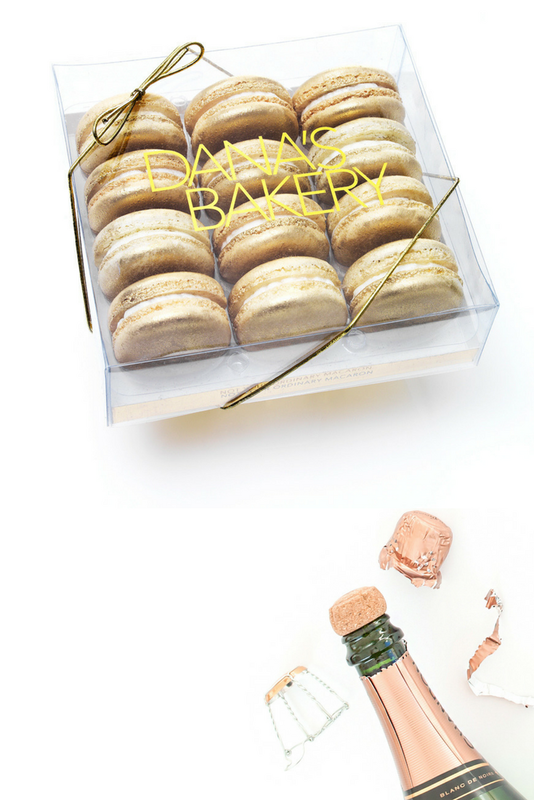 The Dana's Bakery champagne macarons featured in this post are just one of the many year-round flavors which also include my favorite Thin Mint and others, including various customer choice assortments. The bakery, established by photo-editor turned trained pastry chef Dana Loia, also markets limited edition seasonal options for major holidays throughout the year as well as others perfect for special occasions such as a new baby girl or boy, weddings, birthdays, graduations, and more. Boxed by the dozen, these are also available in larger quantities for special events and parties. Best of all, if you'd like to try your own hand at baking up some macarons at home, they also offer a Red Velvet Make It Kit ($24) with the ingredients and tools needed to make 20 macarons and parchment paper ($10) pre-marked with circles. To keep your macarons bakery fresh after arrival, Dana recommends that you consume them within 5-7 days of arrival or they can be frozen for up to 4 weeks. Remember: All macarons are best served at room temperature. If storing them in the fridge, allow approximately 10 minutes to reach room temperature or 30 minutes if coming out of the freezer. Learn more and order by visiting the official site. You can also keep up to date on all the Dana's Bakery news by following the brand on Twitter, Facebook, Pinterest and Instagram.